What is the Leightons Method? 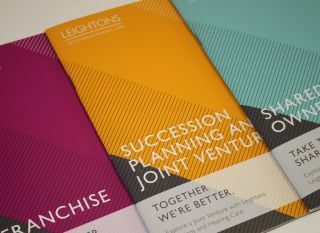 Whether it’s Franchise, Joint Venture or Shared Ownership, we have have a flexible model that will work for you. Make the decisions, reap the rewards and create enterprise value. This is the Leightons Method – something we've been working on for nearly 90 years. You are the sort of person who is passionate about your career. You love to help people and you care that your work makes a difference. Ambitious and motivated, with plenty of experience, you’re itching to take the next step. You have learned lots from the people that you have worked for but now it’s time to run your own show. Finance: know your numbers, budgets and planning with monthly P&L’s and cashflow management, keeping us focused on sustainable profit growth. Leightons also have good relations with the major UK banks with access to bank loans and financing. Sales, Marketing & Customer experience: “The Magic Dust”. Our internal marketing team, together with expert external advisors, consistently develop stronger connection with our customers to better learn what they most value. We aim to create customers for life via our carefully designed customer relationship management (CRM) program that sits at the heart of our customer experience philosophy. Our CRM program integrates real-time online appointment booking, patient recall via email, text and letter with in store, online, social and digital experiences. Human Resources: get all the support you need in terms of managing your team, recruiting new staff, management of contracts, review processes, pay and pensions policy. IT: in-house team of IT professionals to provide support with all your information technology requirements. Includes practice management software, IT support and even the complete replacement of all your computers every 3 years. Together it’s a powerful combination for business success. To find out more, call us on 01252 823400 or download our brochures.